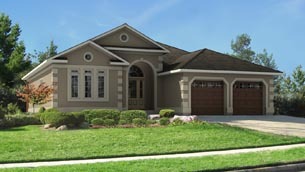 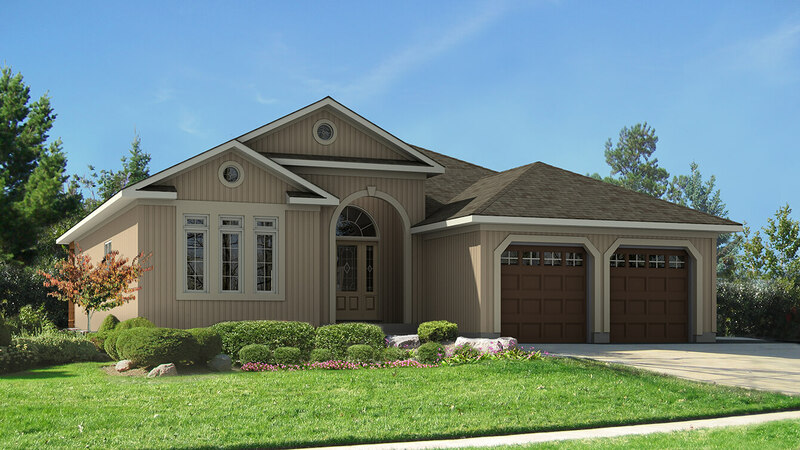 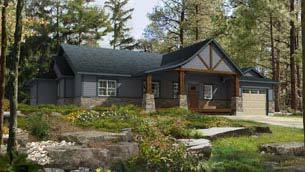 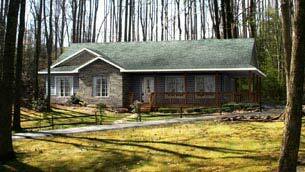 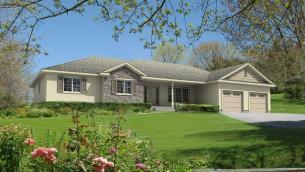 The impressive Silver Maple opens to a foyer with 12 foot high ceilings off a covered porch. 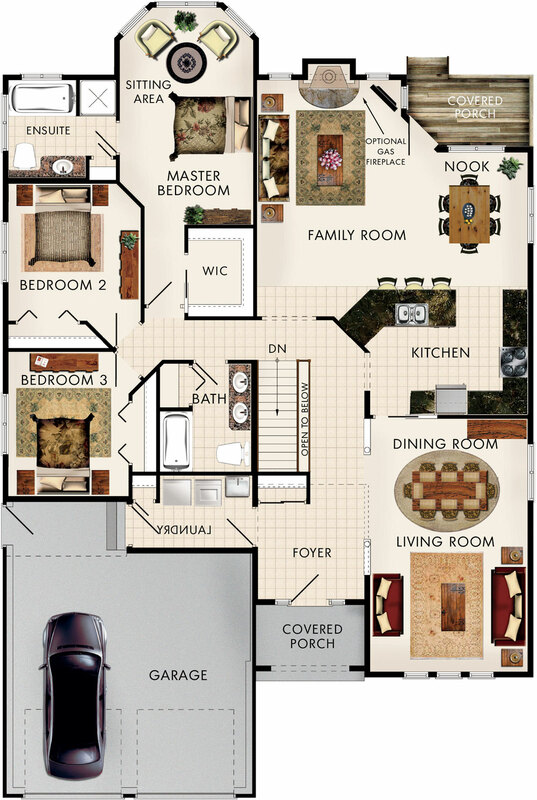 The open concept living area features an L-shaped kitchen, familing room with an optional gas fireplace and a covered porch. 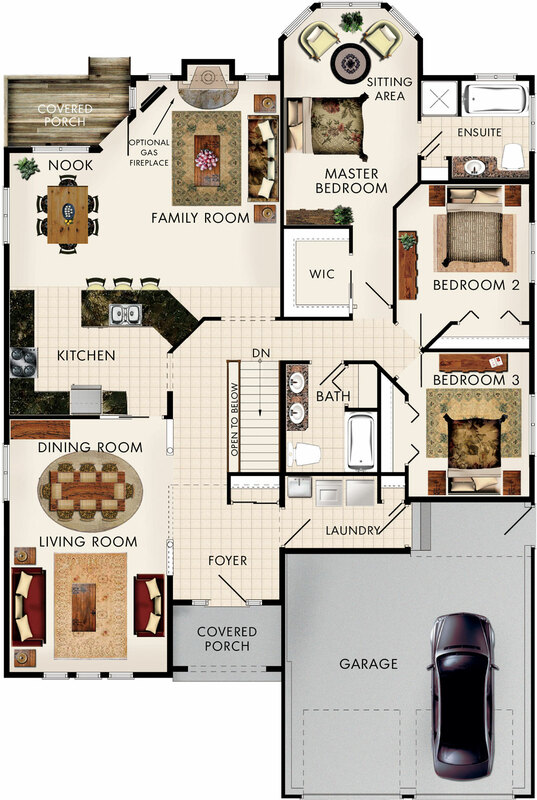 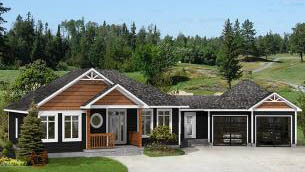 The three bedroom design features a master bedroom with a sitting area, walk in closet and ensuite.